Over the past few years the used car market has been booming as consumers have struggled to afford new vehicles due to the recession. However, this year the UK has officially started to move out of the recession which means consumers are feeling more confident about the economy and are therefore less stringent when it comes to purchases. In the motor trade world, this was particularly noticeable back in March when the new number plate came out as individuals started investing in new vehicles and trading in their old ones. It has been claimed that in March this year new car sales were up by eighteen per cent to 464,842 units, which is the highest amount in the month of March since the twice-yearly plate change was introduced back in 1994. In general, new car sales have increased by 11.6 per cent this year up until May with 1.06 million units sold, leading to a considerable amount of vehicles have been traded in, all of which need to be covered by motor trade insurance policies. However, there is still a lot of activity in the second-hand market as some people are still wary of investing in new cars as the cost of living is still high. Motors.co.uk recently published the ten best-selling used-cars during May of this year, and unsurprisingly the list contains vehicles that are known for their reliability such as the Ford Focus and Vauxhall Corsa. Dermot Kelleher, director of marketing and business intelligence at Motors.co.uk, said: “Once again, the nation remains consistent with its choice of the top five most popular used cars, which is broadly reflective of the position for new car sales as well. Unfortunately, as there is so much activity in the UK car market right now issues have come to light concerning used vehicles. 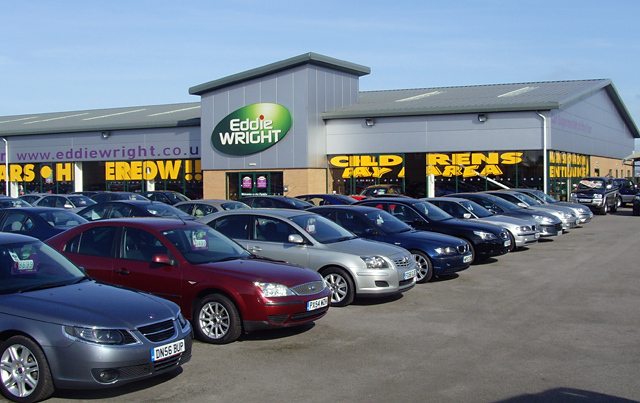 The Citizens Advice Bureau recently warned consumers that there has been an increase in second-hand vehicles being sold that still have finances on them – finances which are then passed on to the new owners. Some people have even had their vehicles seized for not making repayments that they were completely unaware of. It is estimated that this year alone there have been sixty thousand logbook loans taken out, which is a sixty one per cent increase compared to 2011. A logbook loan is where someone takes out a loan and puts their car up as security, which means that the person they borrowed the money off of technically owns their vehicle until the money is repaid. Those that sell their vehicles while still having a logbook loan are currently not breaking the law, however the Citizens Advice Bureau wants this to change. Citizens Advice chief executive Gillian Guy said: “Innocent drivers should not have to bear the burden of someone else’s debt.” As a motor trader you will naturally check whether there are still any finances on a car before buying it, however Citizens Advice has claimed that almost two thirds of individual buyers fail to do so.